#39, 40 & 42 John Deere 35D, 30HP, Diesel, Operating Weight 7672 lbs. Digging Depth: 10' .5" Max. 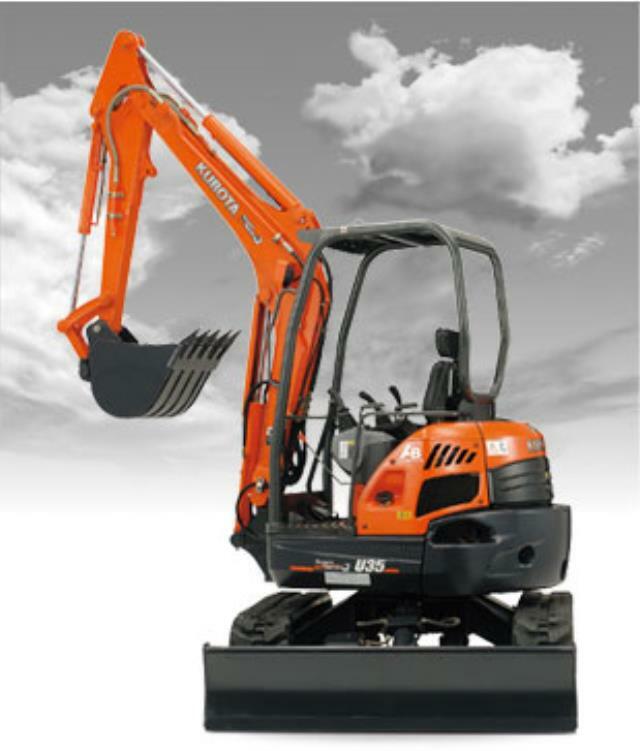 Digging Reach: 17' 1.5"
* Please call us for any questions on our excavator mini 7 800 lb rentals in Santa Barbara CA.